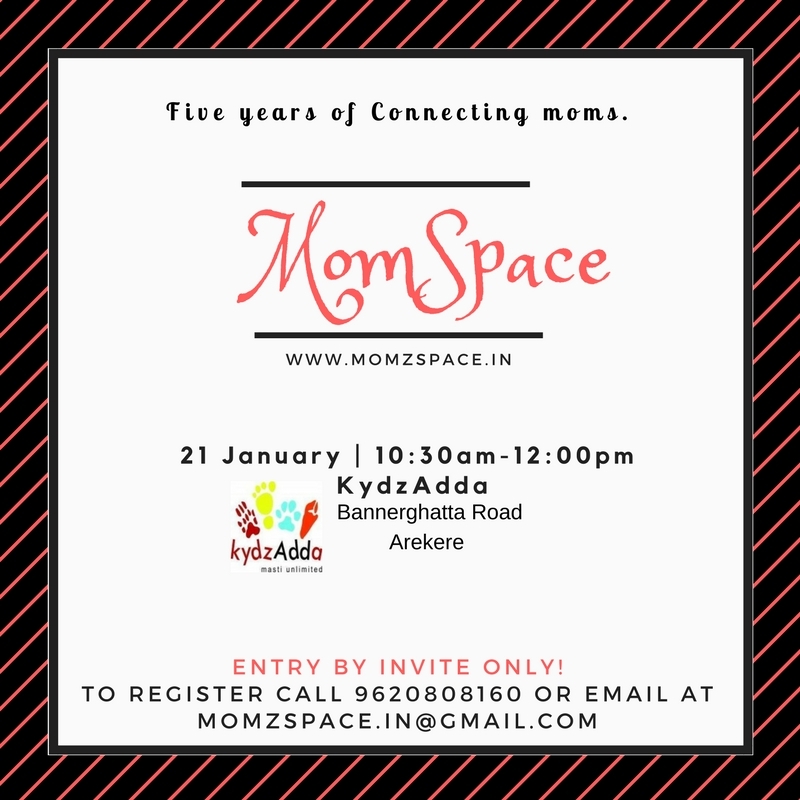 Yes, we are turning five on this January, for which Nidhi Pathak (Founder of MomzSpace) is hosting a small get-together with her MomzSpace mommies. 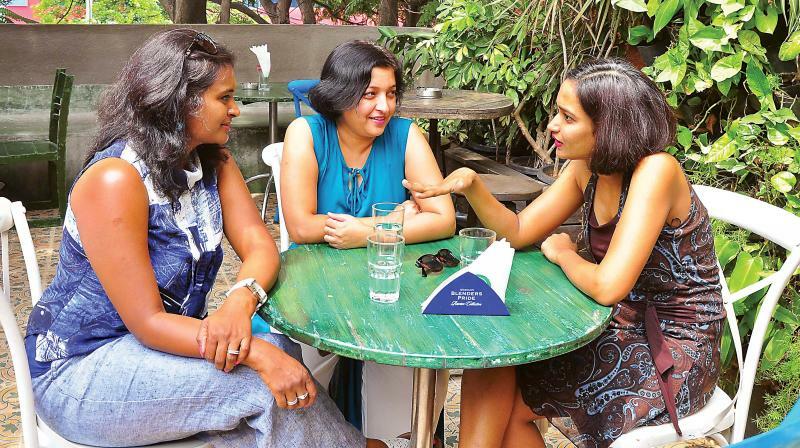 The event is all about celebrating moms's individuality who has contributed to form of this dynamic mother community. We are proud to announce our co-host (Deepti Mahesh Founder of KydzAdda), who voluntarily sponsoring the snacks and refreshment for our mom attendees. Momz attending this special momzmeet will get an opportunity to interact and listen to RJ Snigdha in person and live! 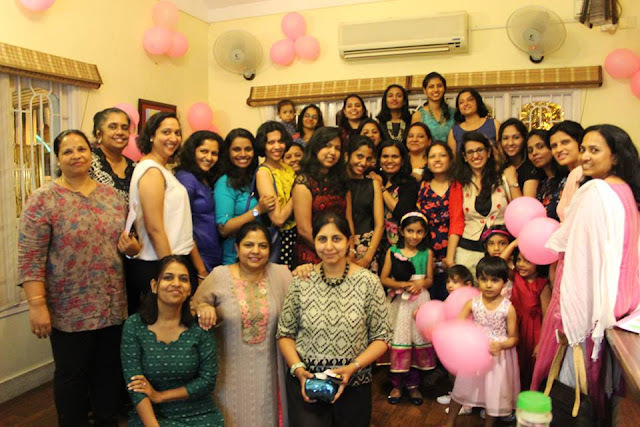 The entire meet will be all about being beyond mom, which will be concluded by acknowledging the contribution of each mom who has been an integral part of momzspace community to make these 5 years as a successful journey. Trust me, ladies, these five years weren't so easy peasy for me to run solely especially after joining a full-time job, and now having a new arrival in our family. Thanks to all moms who have helped me to keep this community running with informative blogs, social engagement and doing meaningful momzmeet. Special thanks to Debolina who never failed to engage mommies in the group, and being my sos for pushing blog stuff live! With my elder daughter and hubby! Who are always so supportive during my initiatives for momzspace. I take immense pleasure to have all you lovely memebrs of MomzSpace community who have helped me to build one of it's kind community for moms. Looking forward to meet you all in person to celebrate Five years of Connecting Moms) at KydzAdda on 21st January 2018. We all at MomzSpace are looking forward to meeting you and listen to you in person. To attend this momzmeet please do register at https://www.facebook.com/events/178752762713978/ or drop us a mail at momzspace.in@gmail.com Block your seat now as the event is By INVITE ONLY. PS. Entry for Momz is free, but for kids playing at Playzone will be charged as per KydzAdda Charges with special MomzSpace Discount of 50% discount.